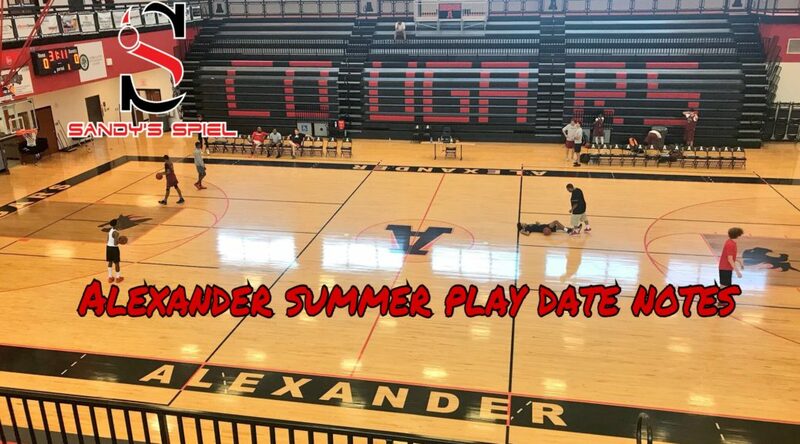 Through their three games on Saturday, Alexander looked like a team ready to make a run in Class AAAAAA. If they are able to navigate Region 5, the Cougars could be in good shape to take a deep march in the state playoffs. Two key additions will make an immediate impact. 2019 6-3 SG Malik Battle was brilliant throughout the day. The transfer from Douglas County made it obvious why he was First Team All-Region and an All-State Honorable Mention selection last year. Battle was unstoppable at times, averaging 20.3 points over the three games while drilling eight threes. He is a silky-smooth shooter but is good at getting to the rim. Outside of his knack for scoring, it was his mean streak that stood out. 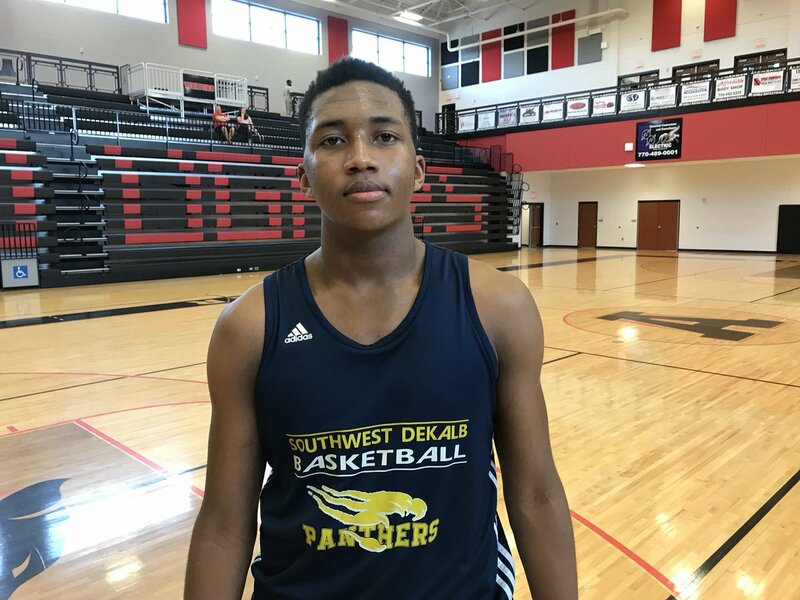 Battle is talker on the floor and his mouth is what ignited the final match-up of the day with Southwest DeKalb into feeling like a state playoff game with the intensity and high level of play. Battle is a no-brainer No. 1 option for the Cougars and he played like a legitimate D-I prospect this weekend. 2019 6-5 SF CJ Hawkins will fit an important role with the Cougars this season. The transfer from Maryland provides a little bit of everything. His toughness on the glass will help out Brady Spence immensely. Hawkins was consistent on the day, averaging 8.3 points, 4 rebounds, 1.3 assists and 1.3 steals. Hawkins knocked down three three-pointers and provided energy. He had the highlight of the day when he went hard to the hoop and threw down a one-handed hammer dunk on two 6-foot-6 Southwest DeKalb defenders. Hawkins is a dangerous player that will do what he’s asked, but if needed, can be the second scoring option and give 10-12 points a night. Only one starter from last season and five players suited up for Coach Michael Reddick, but that did not stop the proud program from competing. With no subs to turn to, the onus was on the five to make the most out of their opportunity. 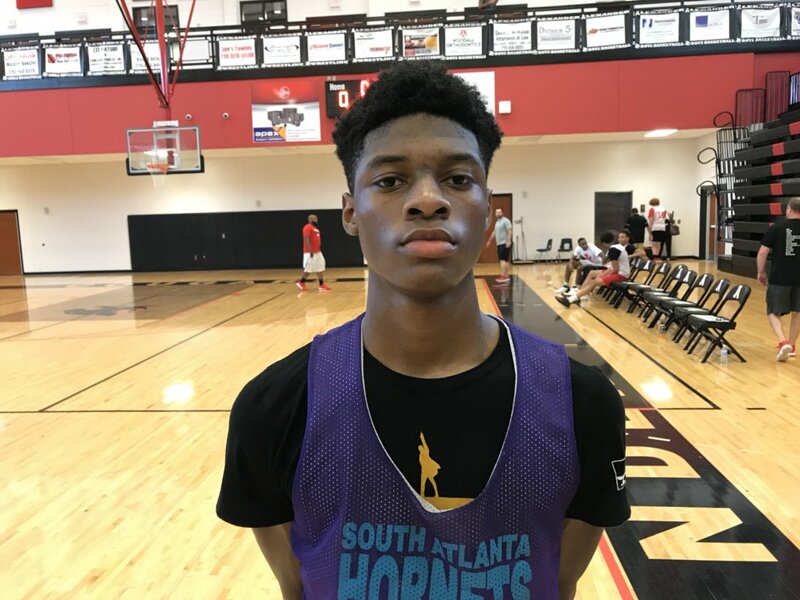 2020 6-3 SG Ja’Quavian Florence will return with a good chunk of experience to a South Atlanta team that loses two of their winningest players in recent years, Dondre Barnes and Jalen Stegall. Florence looks ready to take over the mantle as being the next tough guard in the Hornet backcourt. Florence had a nice flow to his game. He not only dropped in 23 points, hitting three threes, but he led the short-handed Hornets with his overall floor game, collecting 7 rebounds, 6 assists, 2 steals and 1 block. Florence didn’t force the issue and played within himself even though the bulk of the offense had to run through him. Florence has a nice jump shot that works best when he plays off the ball. Having a large ball handling role in the offense on Saturday should help him down the stretch to round out his offensive game. 2021 5-11 SG David Hollis stepped up in a major way, banging home five three-pointers en route to a team-high 25 points. The lefty is a tough player. His three-point shot is his best weapon but he still found chances to attack the hole. If he is able to grow some more, he will be better suited for his 2-guard position. He’s not quite ready to run an offense at the point guard position. If he can’t squeeze out any more inches, working on his ball-handling and ability to finish in the lane would be to area to improve on. Defensively, he has the athletic and strong frame to be able to frustrate weaker guards. Overall, it was a big step forward for the D-Favors Celtic. The starting five of Southwest DeKalb is intimidating walking off the bus, going 6-1, 6-4, 6-6, 6-7, 6-7. The Panthers will need to get production out of 6-foot-7’s 2021 Rion White and transfer from Florida 2019 Jalen Pittman. If the two bigs can control the paint and do the dirty work, Southwest DeKalb will be a scary proposition with the big three already in place. 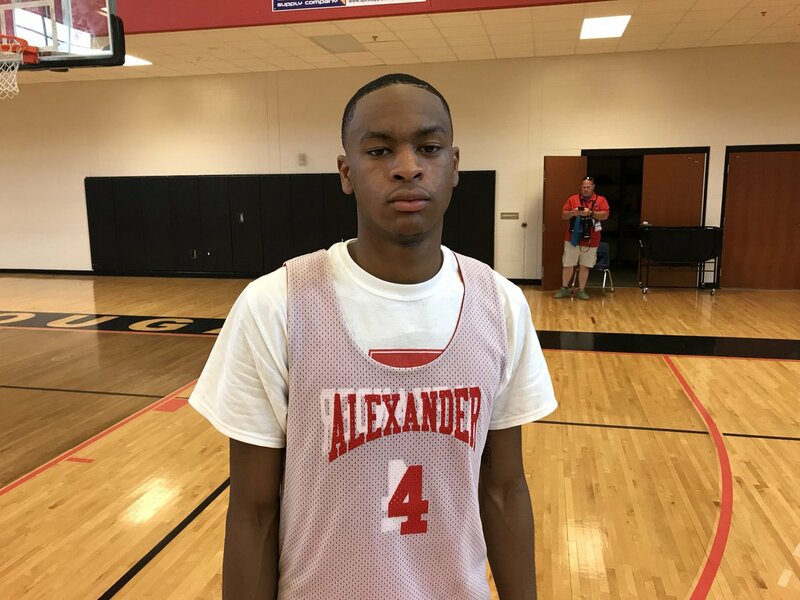 2020 6-1 PG KD Johnson to no surprise, was the difference maker in a trash talk, highlight filled Saturday finale with Alexander. Johnson applies pressure on defenses from the second he steps foot on the court. He is in attack mode for the entire game and wears down his opponents. After scoring eight points in the first half, Johnson finished with a game-high 25 points, 5 rebounds, 2 assists, 1 steal and 1 block. He buried three three-pointers and picked up 10 points from the foul line. Locked up with Jaylon Brown, a steady 2020 PG prospect in his own right, Johnson showed Brown what a D-I guard right now looks like. Defensively, Johnson rarely ever gives up on plays and notched one of his trademark chase-down blocks that stirred the crowd. His physicality can really bug guards that aren’t used to his in-your-face defending. His fire was lit after Malik Battle started jawing with him and the Southwest DeKalb bench. Bad idea. A player like Johnson doesn’t need any extra motivation, especially in a summer league game. 2019 6-6 PF James Glisson III can sometimes get lost in the shuffle with the high-flying escapades of KD Johnson and the sharpshooting of 2020 6-4 SG Eugene Brown III, but Glisson is uber-important to the success of the Panthers. A big body, Glisson still has the skills to play minutes on the wing, even though I feel he is at his best with his back to the basket. Glisson had 9 points (1 three), 4 rebounds, 1 assist and 1 steal. He will have games this year where he will carry the Panthers with his offensive rebounding and inside scoring. I view Glisson as one of the top 2019 power forwards in the state. 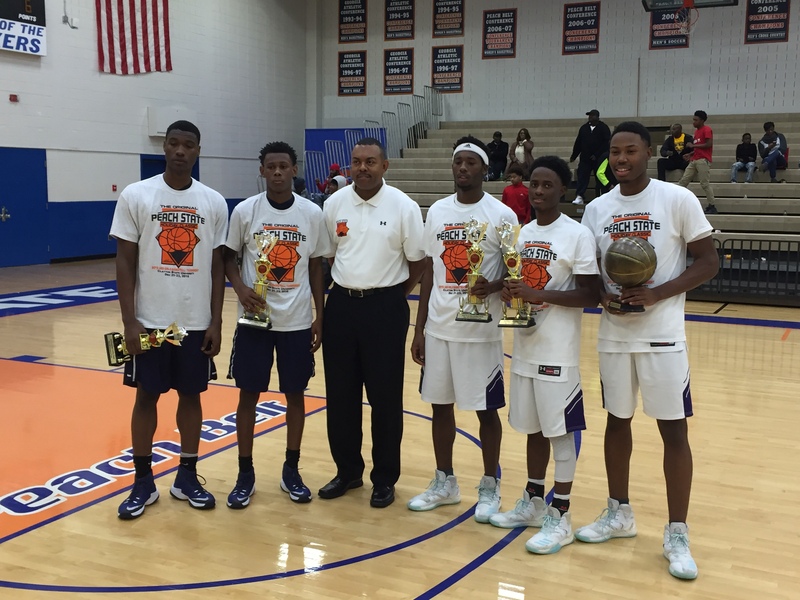 The finals of the Peach State Classic Championship featured Class AA No. 1 South Atlanta (12-1) and Class AAAAA No. 2 Eagle’s Landing (8-2). Both teams fought their way to the title game by knocking off ranked teams throughout their path. South Atlanta opened up a quick 8-2 lead behind two Devonta Pullins threes and raced out to a 20-10 lead after one. The Hornets used an active defense and 10 of Pullins’ 13 points on the night to get off on the right foot. 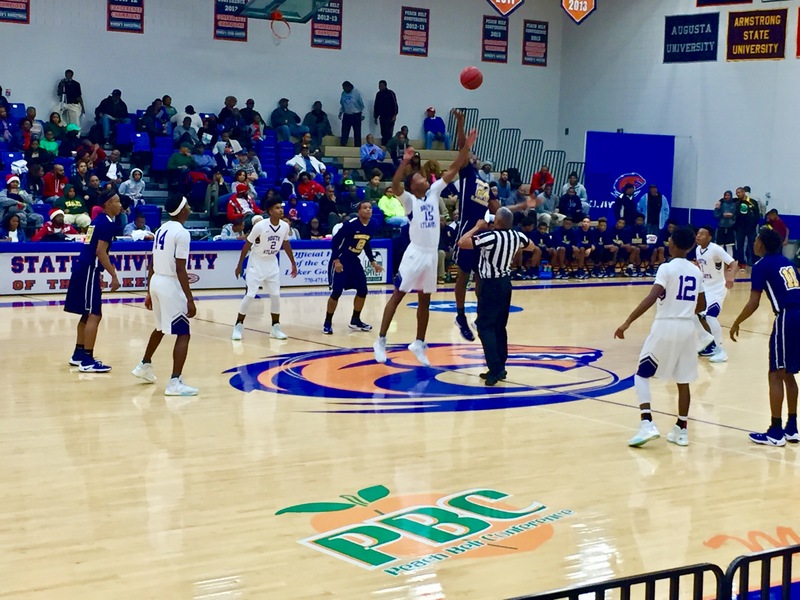 A reason for the Eagles’ slow start was that 6-foot-8 North Carolina A&T-commit Mohammed Abubukar didn’t touch the ball in the opening eight minutes. In the second quarter Coach Elliott Montgomery and the Eagles made it a point to get him the ball. On the first possession of the quarter, Abubukar earned a trip to the line and sank both free throws. The inside-outside duo of Abubukar and Brandon Thomas helped Eagle’s Landing weather South Atlanta’s early scoring storm. Thomas drilled a three to make it 28-19 at the three minute mark and with 1:42 left it was 30-21. Right before the half, the Eagles got the ball to Abubukar again and he was able to convert to make it 32-24 with the Hornets still on top. No. 2 @ELHSHoops 24@mo_ahmed2735 hoop before half. 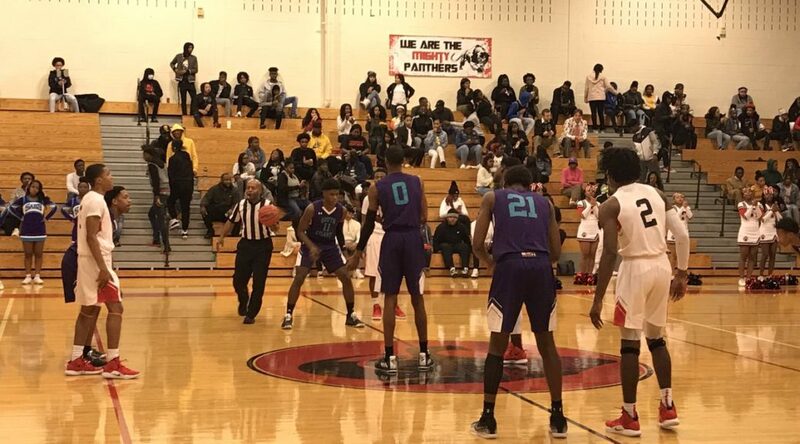 South Atlanta stepped on the gas to begin the third quarter, using a 7-0 spurt keyed by Pullins’ third triple of the game and Tyler Thornton inside to regain a commanding 39-24 lead. With the game starting to slip away Abubukar sparked the Eagles, powering a 9-0 run highlighted by the big man collecting a steal and going coast-to-coast for a tough lay-in. Thomas drained another three to make it 39-33 with 2:27 left in the third. Abubukar drove for a dunk and then completed an And-1 to cut the lead to five, but the Hornets ran off the final 50 seconds of the clock and received a Dondre Barnes layup to head into the fourth up 45-38. The Eagles’ surge continued in the final quarter, using a 7-2 run to close the lead to 47-45 at the 6:21 mark when Tarrence Evans scored his first two points from the line. With Eagle’s Landing in finally striking distance, the Hornets responded and made sure it would be as close as the Eagles were able to claw within. 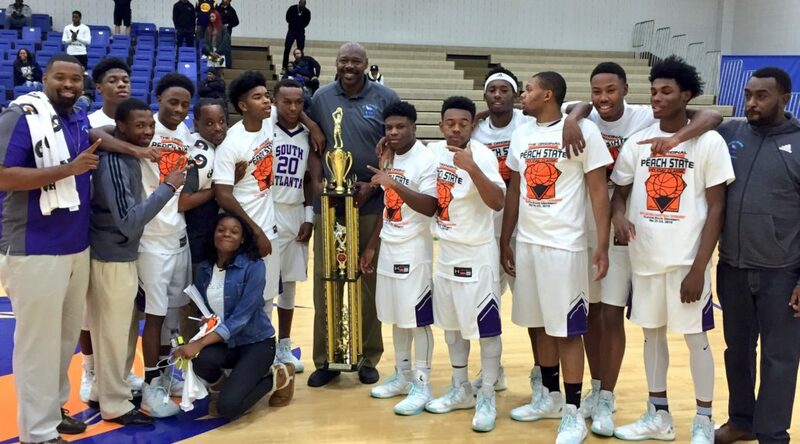 South Atlanta ripped off a 14-2 streak over the final six-plus minutes to seal the game. It began with Barnes nailing a three and Jalen Stegall adding a jumper. Thornton capped South Atlanta’s 12 unanswered points with a one-handed jam to put the exclamation point on the championship. South Atlanta has to be considered the favorite in Class AA to win it all. In fact, in this topsy-turvy season with parity at an all-time high, out of all my current No. 1 ranked teams in the state I am most confident in the Hornets. Wins over North Clayton (60-56), Class AAAAA No. 4 Fayette County (69-57) and Class AAAAA No. 2 Eagle’s Landing are as good as it gets, especially in Class AA which has seen other top programs struggle against tough competition out of the higher classifications. The majority of the Hornets have been playing together for years with a strong cohesion and a pedigree of winning which seems like it’s ready to come to fruition with a state championship. 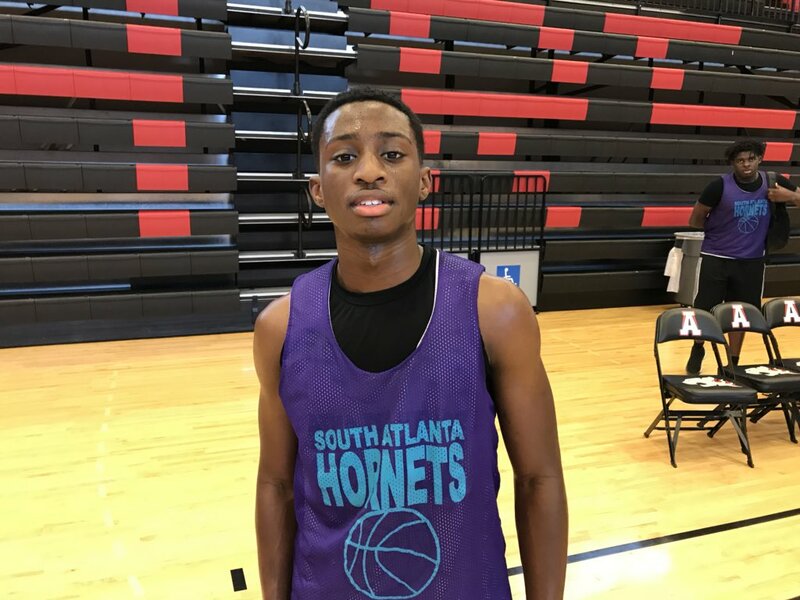 Devonta Pullins got South Atlanta off to a hot start with his three-point stroke, but it was far from a one-man show. Jalen Stegall and Dondre Barnes added 9 points apiece while Tyler Thornton was named Tournament MVP after posting 20 points, 12 rebounds and 4 blocks. The 6-foot-8 unsigned lefty power forward should be on some schools’ radar. Thornton is comfortable facing up and has a nice turnaround jumper out of the low block. 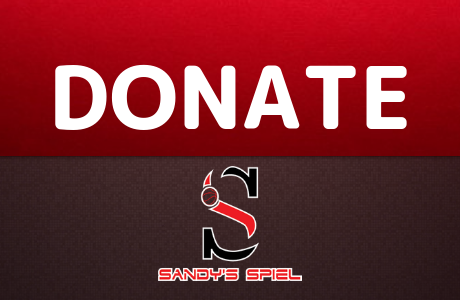 His motor is steady and he is active on the glass and blocking shots. He will be a nice late addition for whatever program sees him as a fit. Eagle’s Landing’s slow start was too much to overcome. Not getting the ball to Mohammed Abubukar at all in the first quarter was a mistake. The big man nearly carried them all the way back as he posted 15 points. Mo likes to put the ball on the floor and create from the high post, using a multitude of spins to get free in the lane. He needs to make sure he doesn’t get out of control when trying to attack. I would have liked to see him get more paint touches on the low block to see what he can do there instead of relying on him to create everything starting from 15-feet out. Brandon Thomas knocked down four threes, one in each quarter. He’s a sweet shooter when he’s open but he needs to be able to make more happen off the bounce and create his own shot. Christopher Hood added on 10 points and rebounded the ball well. Tarrence Evans was too quiet with just two points on the night. He is usually a strong option on offense. Zane Walker was a tough rebounder inside for the Eagles. The undersized forward brings a football mentality to the glass and I thought he gave Coach Montgomery some quality minutes.